Welcome to the KERRELL family name site. The family name KERRELL, in its current form, has been around for about 450 years. The origin of the family name goes back much further than that, having originated from Robert de Criol b. 1047, son of Robert Count of Eu. Robert de Criol takes his name from a town now known as Criel Sur Mer near Eu in France, which he held from his father. 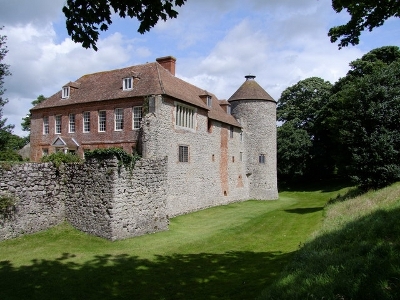 After the Norman conquest his father, Robert Count of Eu, was granted a number of manors, as chief tenant, by William the Conqueror, included amongst these was Ashburnham, Sussex. Robert Count of Eu made his son, Robert de Criol a sub-tenant of Ashburnham, Sussex as recorded in 1086 in the Doomsday Book. Robert is the ancestor of the landed and titled family of Criol of Kent and it is thought he may also be the ancestor of the Ashburnham family as well. The direct male line of the Criol family is documented as having died out in the 15th century, although several branches have survived the extinction of the main line. The last in line of the landed and titled family of Criol was Sir Thomas Kyriel of Sarrecourt and Westenhanger, Kent. Sir Thomas Kyriel was executed in 1461, after the second battle of St. Albans. He was fighting for the house of York. The Kerrell named developed through the centuries from de Criol (1047-1377), de Keriel (1231), de Kyriel (1249), Kyriel (1320), Kiriel (1330), Kirrell (1500), Kyrrell (1527), Kerrell (1555). You can also check some of the family members discovered through research by looking at the Trees & Lists page. Detailed family history articles are being made available on the Chronicle page. Currently there are only four articles but I hope to be adding more soon.